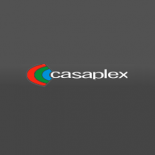 Casaplex was founded in 2004 and employs 35 professionals. Derek Goldstein, CEO/President describes his experience in the CE industry and as a member of Azione Unlimited. Casaplex was founded in 2004 by Derek Goldstein and Nelson Garcia in Bethesda, MD. As its name suggests, the company was created with the idea of interweaving networks within a home, aka the Smart Home. This was a prescient focus when the company began, but the market is now ready for what they have been honing and perfecting for over a decade. Since that time, Casaplex has expanded its purview, in more ways than one. 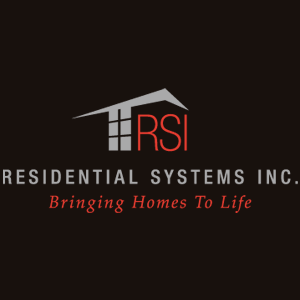 What began as a residential business centered in the DC Metro area, has grown to a company which serves residential, commercial, and federal markets, with offices in Maryland, Miami and Denver. Core values of community, integrity, and innovation guide their company mission of enhancing how people live, work, learn, and play through the innovative use of technology. The pursuit of innovation is meant in every sense of the word: not only using the latest and greatest technology available from its premiere vendors, but also finding new applications for that technology, even developing new technology and finding new ways to deliver holistic solutions. It logically follows that this philosophy extends to team members’ skills, seeking to innovate on new areas in which to deploy their talents. Casaplex’s recent acquisition of award-winning home theater company Encore Custom A/V has evolved the merged company’s collective skill set. Now equipped with expertise in tech-craftsmanship, designing and constructing a built environment tailored to a defined user experience, Casaplex has a solid foundation for future endeavors into the construction of electronic environments. Both Casaplex’s view toward the future and its passion for holistic applications of technology inform its practices and strategies today. They believe that smart homes and buildings will ultimately connect in ways no one has yet imagined, and aspire to be at the forefront of that technological evolution. A vendor mix that matches our offerings and values the Azione dealer base.